3D-Outreach is a non-profit organization seeking to reach out, across borders, to the needs of the whole person through being a resource and support to existing long term outreach. A couple is needed to help run a campsite in Durban. Every missionary has a story to tell. They are stories of joy and challenge, heartache and perseverance, and, above all, the glory of God. 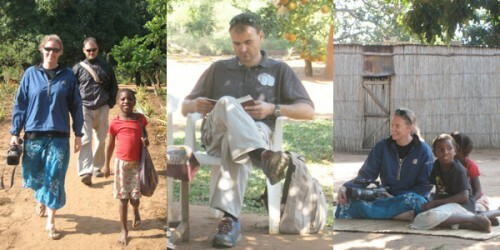 In order to convey these stories to others back at home, 3D-Outreach has initiated a missions media avenue of ministry. 3D-Outreach was recently offered the opportunity to come alongside Wynand, a missionary in Xai Xai, Mozambique, to help him tell his story through video. We spent a week in Xai Xai, staying in Wynand’s home and sharing his daily life with him in order to record his ministry and spread the word of what God is doing in and through him. During our time with Wynand, we had the opportunity to experience some of the difficulties of the life of a missionary. Wynand has no running water in his home and has only recently gotten electricity. Yet in the midst of the challenges of his circumstances, Wynand has come to know God in a powerful way. Daily, he visits different villages and church leaders to strengthen them in the Word of God. “If I could characterize my relationship with God in one word,” he says, “it would be ‘surrender.’” This is evident by the life he lives and his passionate pursuit of God’s will and his desire to bring others into the fullness of Christ. After following Wynand around for eight days with the video camera, taping his ministry, his life, interviews, and village experiences, we felt that we had sufficient footage to return to South Africa where the editing and post-production will be done. We were especially blessed during the border crossings that we had no hassles with the video equipment and we praise God that everything worked smoothly during our time in Xai Xai. We are excited for the doors that God has been opening up through media in recent days and are looking forward to using media in the process of broadcasting His glory to the world.